Hong Kong is the prime platform and a key link for the Belt and Road Initiative, the Secretary for Commerce and Economic Development, Mr Edward Yau, said in Davos, Switzerland, this morning (January 24, Davos time). 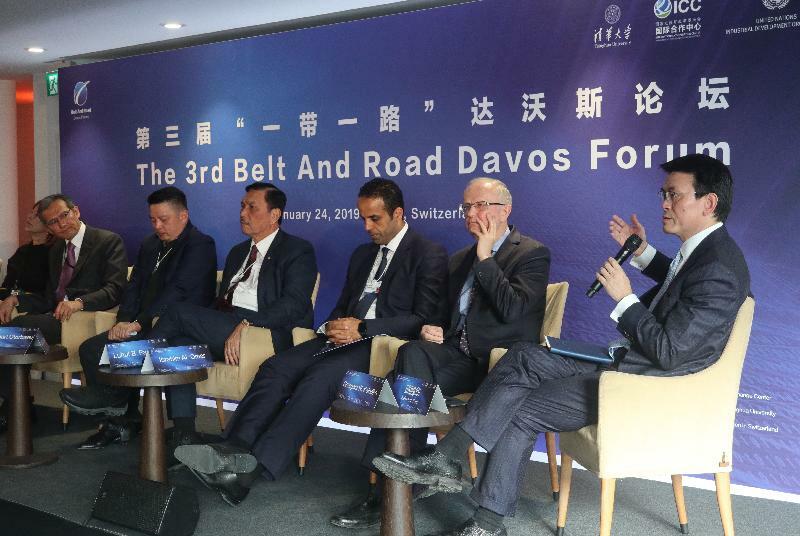 Speaking at the 3rd Belt and Road Davos Forum, Mr Yau pointed out that Hong Kong is best placed to be the platform for provision of professional and comprehensive services for Belt and Road-related projects as well as in facilitating capital flows and financing. The forum was hosted by Tsinghua University, the International Cooperation Center of the National Development and Reform Commission, the United Nations Industrial Development Organization and the United Nations Institute for Training and Research, and co-organised by the Commerce and Economic Development Bureau of the Hong Kong Special Administrative Region Government. 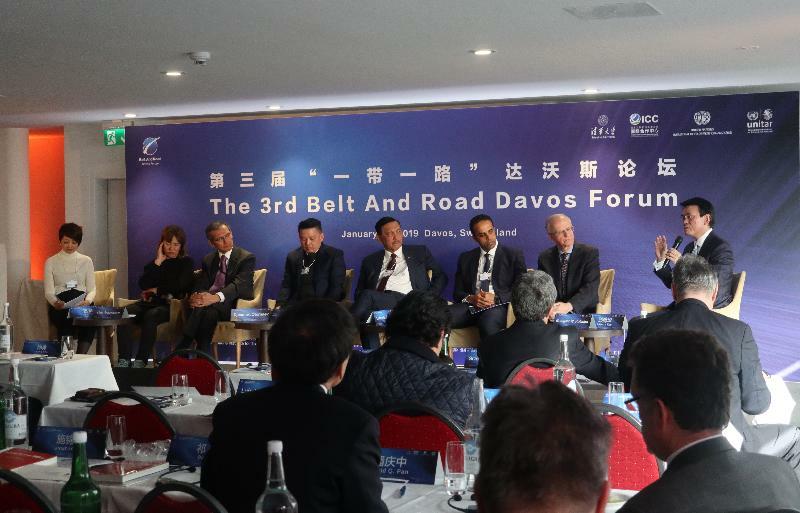 Mr Yau took part in a panel discussion entitled "Building the Belt and Road and Sharing the Benefits of the Economic Globalisation". Mr Yau said Hong Kong has a rich pool of professionals who are experienced in project financing and funding, bond issuing, legal and dispute resolution, accounting, insurance, business consultancy, risk assessment and management, construction, architecture, transport and more, and they are prepared to offer their expertise in professional services for Belt and Road-related countries as well as enterprises seeking to participate in the Belt and Road Initiative. He added that Hong Kong boasts internationally geared business and professional services that are benchmarked against international standards and practices. Following the forum, Mr Yau attended a lunch hosted by the Washington Post, Slate and Foreign Policy where international political and economic leaders shared their views on current trade issues. In the afternoon, he will join the Stewardship Board Meeting on International Trade and Investment under the World Economic Forum where ministers of different countries and economies and global business leaders will discuss the long-term vision for improving the trade and investment architecture, short- or mid-term priorities for advancing policy reform and avoiding disruption, and opportunities to deepen public-private co-operation. Mr Yau will attend the World Trade Organization Informal Ministerial Gathering and the Informal Ministerial Meeting on Electronic Commerce tomorrow morning (January 25, Davos time).